BUT FOR OHIO STATE, WORLD WAR II WOULD ONLY LIVE IN TEXTBOOKS. 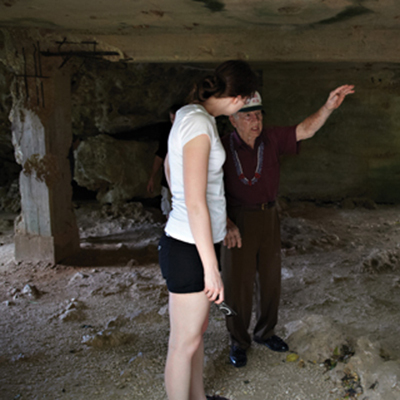 Students recorded veterans’ stories, learning lessons that cannot be taught in any classroom. The tour was co-led by College of Arts and Sciences History Professor Peter Mansoor, who as Colonel Mansoor led the 1st Brigade, 1st Armored Division in Iraq from 2003 to 2005. His brigade received a President Unit Citation for collective valor in combat.